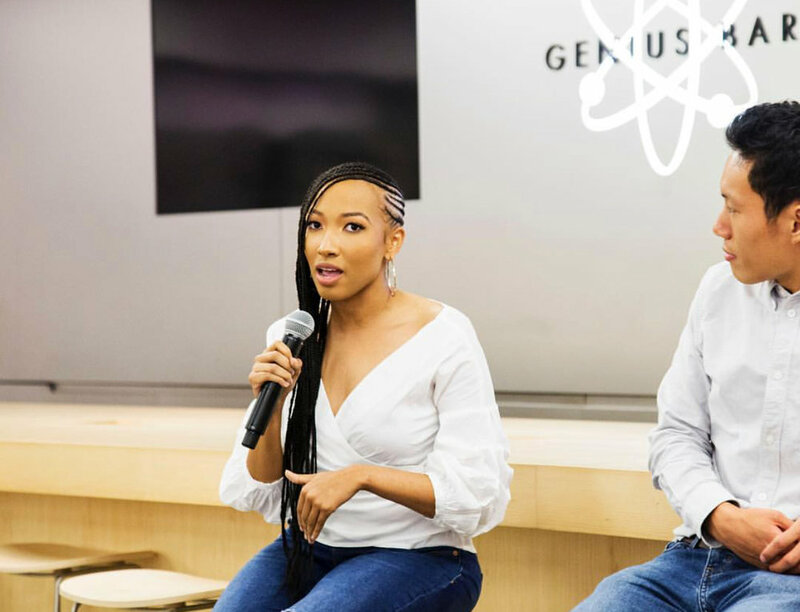 Danielle D Hughes, recently named to Forbes ‘30 under 30’ 2018 list for her profound work in education, Danielle has become one of Detroit’s most recognizable millennials for youth advocacy and empowerment. 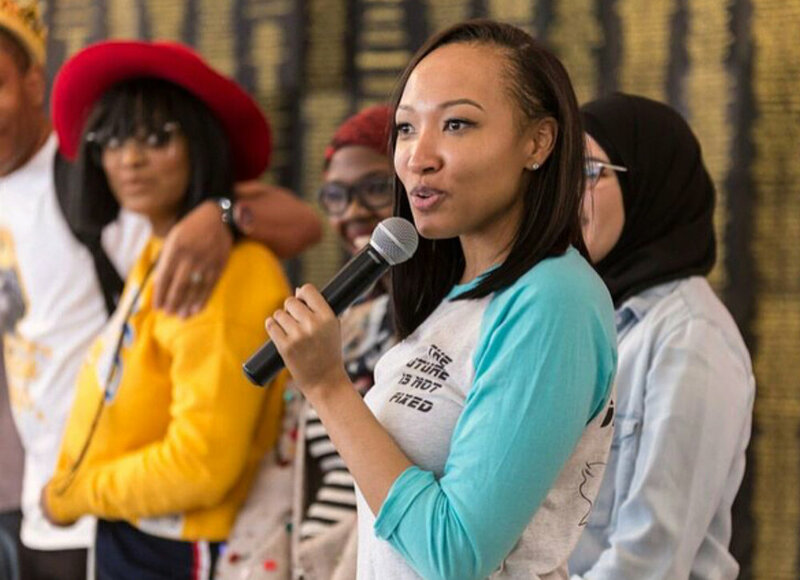 Pledging daily to be the person she needed when she was younger, the astute social entrepreneur, humanitarian and proud Detroit native, makes it her mission to impact the lives of her hometown youth. Serving as Dream Director to high school students as well as founding partner & COO of Detroit Speaks, Inc., a nonprofit organization providing teens with mentorship, coaching, leadership and personal development skills to achieve their dreams. Having worn many hats along her journey, Danielle has sharpened her business acumen and perseverance by boldly recognizing those which did not fit. 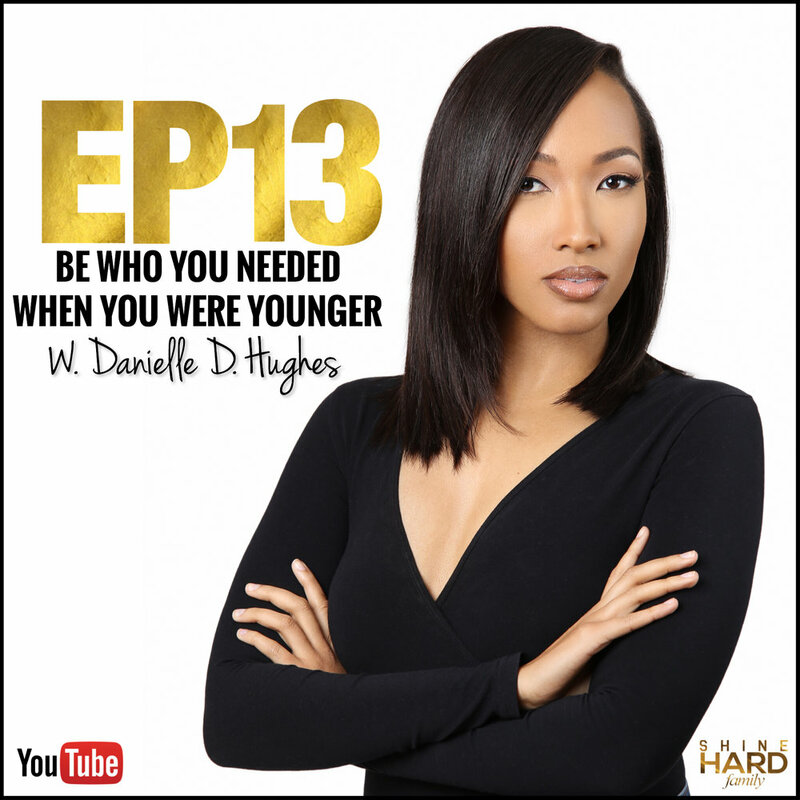 Being hired and fired in a year and a half span as news reporter and anchor of ABC and NBC affiliate stations in Alabama and Georgia, Danielle attributes each experience to the direct pathway which led her to her purpose. Proudly sharing her story with aspiring audiences, Danielle is intently transparent about her wins and losses, encouraging youth to remain resilient so they, too, may find their true purpose. Danielle holds a B.A. in Journalism from Georgia State University. Noting her triple threat for success and serenity, she is an unwavering lover of God, good novels and good manners. Where did you get the idea for Detroit speaks? She said we should start a conference in Detroit and match young people with mentors. We began creating programming and securing sponsors and she was like, “We might have an organization on our hands!” Then yeah, Detroit Speaks was formed from there. We were initially doing this on the side while I was working what ended up being a failed news career. I had to come back home thinking, “God, I don’t know what’s next.” I didn’t have any money coming in. I was on unemployment, making $300 a week and I was like “Something has got to give.” When I came home after getting fired the second news station, I got a nomination from Forbes [magazine] last year. I was like “Okay God, this is a sign.” I got to the summit, everything is good, and we didn’t end up making the list, but we ended up receiving so many donors, sponsorship, and partnerships from that. Things were getting a little easier and I was like, “Now I can pay my bills now...things are starting to make sense.”. What is the mission of Detroit Speaks? If you had to name three people on your Mt. Rushmore of Inspiration, who would they be? Danielle: Oprah for sure. I love Oprah. Deepak Chopra. I really got into meditation this year. I would also say Kanye. I feel like I really understand Kanye. Everyone is just like “ He’s out of his mind.” Kanye is a genius. Some days I wake up and I’m Danielle and some days I wake up and I’m like Kanye. Jay-Z, too. Danielle: Being a young Black woman, everyone is like, “Who is she? ?” I have braces. They’re just like, “Who is this kid?” I actually just turned 26 and being taken seriously is a challenge at times. But we do the work, we are passionate about what we do, and we are serious. We are professionals. Coming from Detroit, we get such a bad rep. When I lived in Atlanta, they were like, “Oh, you’re from Detroit? Do you carry a gun with you 24/7?” Our young people get such a bad rep and I’m surrounded by some of the most brilliant young people that I’ve ever come across in my entire life. Changing that status quo is the toughest thing. People will write you off immediately whenever they hear about what we’re doing like, “Oh it’s just another mentoring organization.” We live, eat, and breathe this. Mentorship and creating the next generation of leaders...we literally live this. This is my livelihood. What separates the people that have made their dream a reality from those who haven’t? Danielle: There are dreamers and there are doers. On the Detroit Speaks website, our tagline is “We build dreamers and doers.” You can be a dreamer all you want. I know tons of dreamers who have amazing dreams. I was once a dreamer. Now I have learned to put the “do” part to it. You dream it, do it, and then make it happen. I was at the point in my life where I was doing vision boards, notebooks, and nothing was coming to pass because I wasn't putting the work in. You have to do the work. You can’t skip the process. You dream it, do it, and then make it happen. Belly is one of my favorite movies. In the movie, DMX says, “Put the weed in the bag and then get the money!” Set the foundation. Do the work. There’s no substitute for doing the work. You have to get out there and do it. It doesn’t matter how big you dream, or how great this dream is..if you’re praying to God to order your footsteps and you’re not moving your feet. You have to move your feet. You can’t skip the grind. I’ve tried, and you cannot. Danielle: The fear of failure. I’m creating a legacy. My grandfather came here from Moultrie, Georgia in 1945, fought in Vietnam, and he came back to Detroit and started his own taxi company. Education was always really big for him. He passed away in 2010 and I’m picking up where he left off. I was still in college trying to figure out what I was doing with my life but I made him that promise. I said I was going to take care of my grandmom and the family and we’re going to make it happen. Just to make him proud. Danielle: We want everything so quickly. That’s the one thing that I talk to my young people about everyday. It does not come overnight. You see the Instagram pictures and the social media and that’s a highlight reel. People aren’t posting, “I had a mental breakdown the other day” or “I have $5 in my bank account because I’m grinding and I see this dream and I’m working towards it.” I tell my kids you can’t skip the struggle. If it comes too fast, you don’t want it. I’ve gotten quick money and have gotten things fast and it didn’t last. Only what you work for will last. Work for it, don’t compare yourself to other people on the internet, don’t get sidetracked when you see things popping off for other people and it’s not popping off for you, but you know that you’re doing the right thing. Just keep grinding and keep believing in yourself because if you don't believe in yourself, no one else will. What is one book that has changed your life as a young social entrepreneur? Danielle: Hands down, 48 Laws of Power. I have my real Bible and it’s like my second Bible. I refer that book to anyone. I keep it with me in my purse. Those 48 principles apply to any season of your life and any profession. It shows you how to keep a level head and play the game to win. If you were to give advice to the next generation about how to succeed as a social entrepreneur what would you say? Danielle: Mindset is everything, first of all. If your mind isn’t right, nothing else is going to be right. I would say have a vision, be fearless about it, and be extremely specific and tell the Universe what you want. When I made my first vision board in October 2014, I put my picture next to two Forbes covers. I’m like “I don’t know how this is going to happen and I don’t even know anyone who works at Forbes. I was finessing Forbes out of issues when I was in college because I couldn’t afford it, but this is going to happen one day. Didn’t happen. Put it on my next vision board I made in January I put Forbes 30 under 30. Have a vision and be so specific with what you want to come. The Universe will bring it to you. The Alchemist is another of my favorite books. If you put it out there to the Universe, it’s going to happen. If you put it out there and you’re intentional about it and specific, it will come to fruition. Interested in learning more or connecting with Danielle?